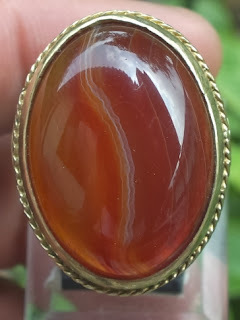 Chalcedony agates occur in many variety patterns and colors. 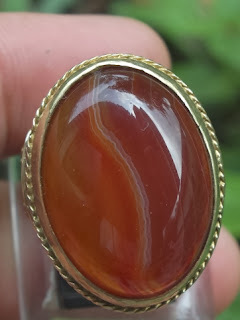 This (Batu Akik) agate has a very beautiful layers of line patterns. 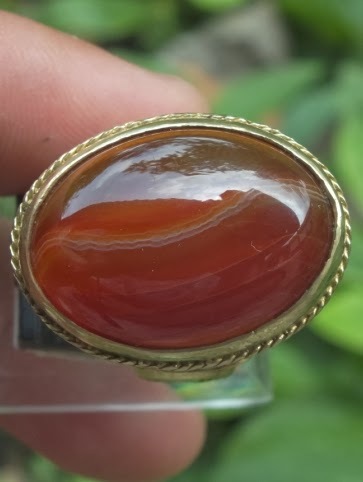 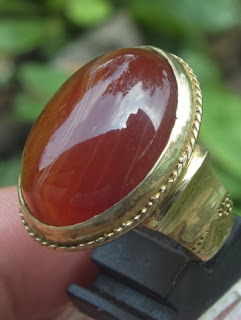 The agate is already set on a 20mm brass ring. The size of the gems is (est) 24mm x 17,5mm x 7mm. 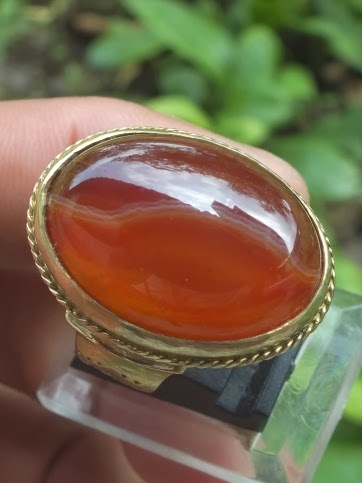 Get this beautiful Natural Chalcedony now! Natural Agate Chalcedony!